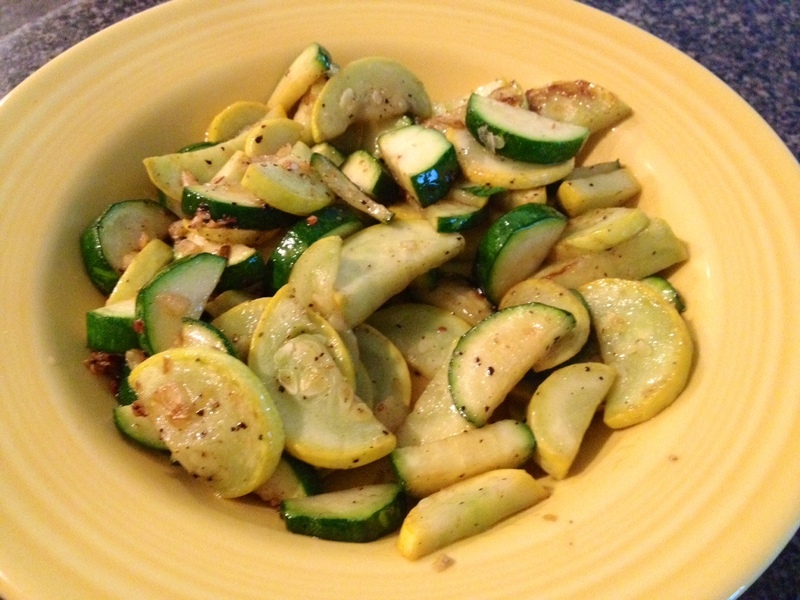 I am so happy when summer veggies start coming up in my garden and love to use them in tons of different recipes. 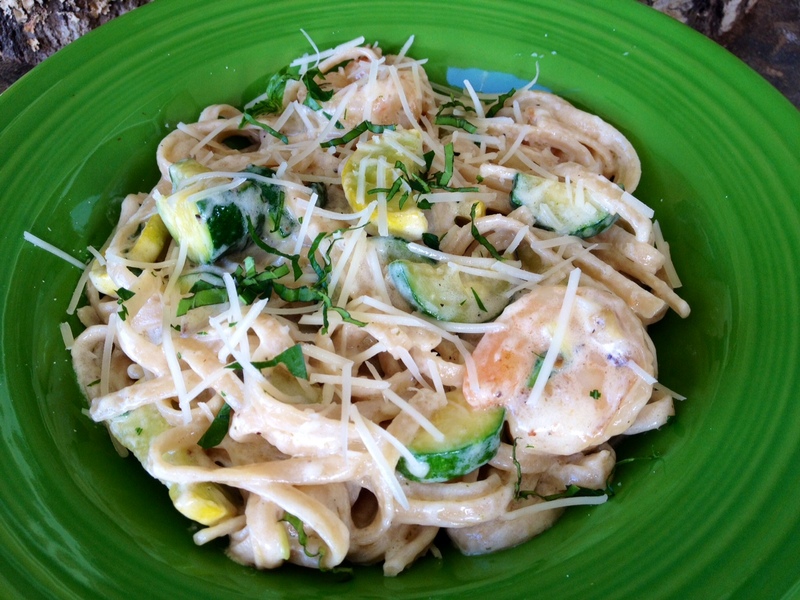 This pasta I made tonight was so yummy, and it uses summer squash and zucchini as the vegetables, but really any veggie you could want would do great in here. Peas, broccoli, asparagus, carrots, etc would be tasty! 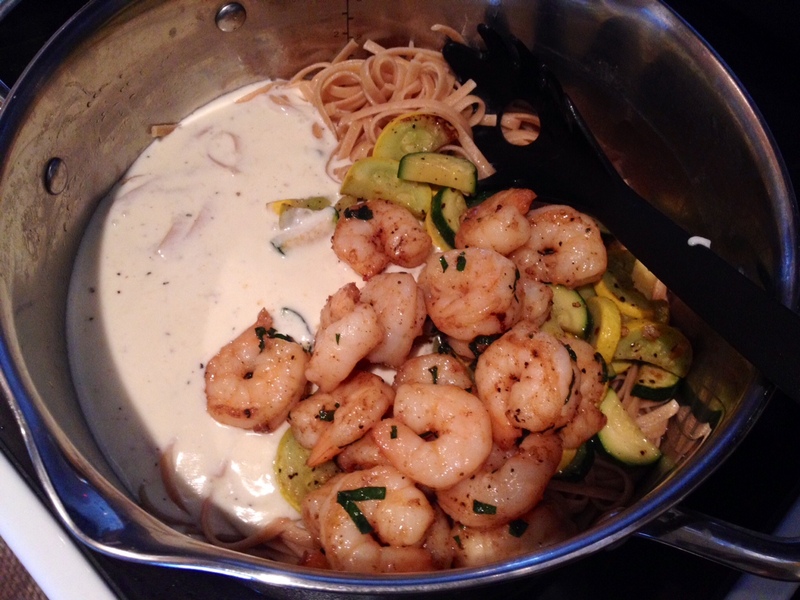 I also added shrimp for some protein, but feel free to leave it out or substitute grilled chicken instead. 2. Saute on medium-high heat for a few minutes and season with salt and pepper, then add your chopped garlic and saute a few more minutes. Drain into a bowl and set aside. 3. 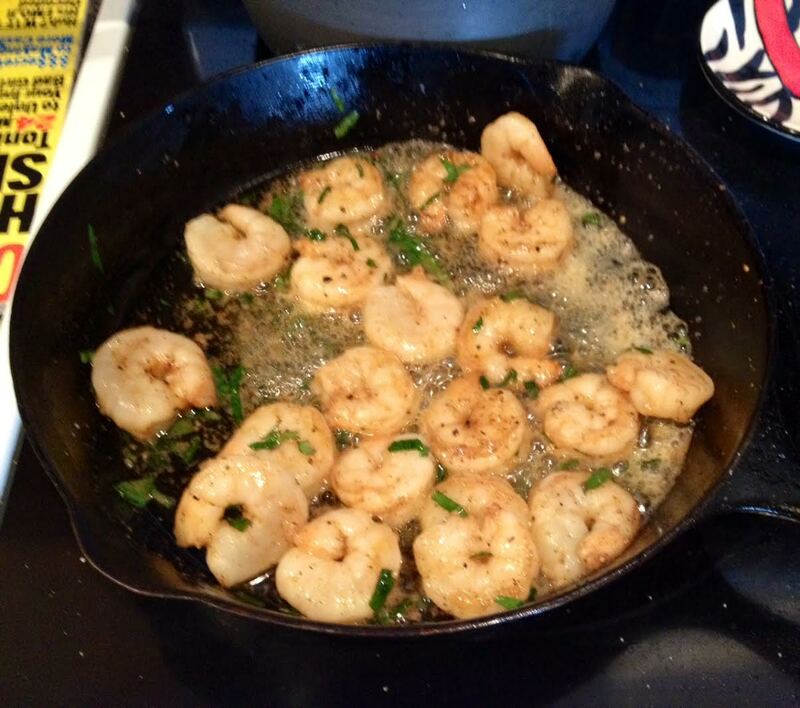 Next, saute your shrimp in 4 T of butter and season with salt, pepper, and a pinch of cayenne pepper. The last minute they’re in there toss in your freshly chopped herbs. Remove pan from the heat and set aside. 4. 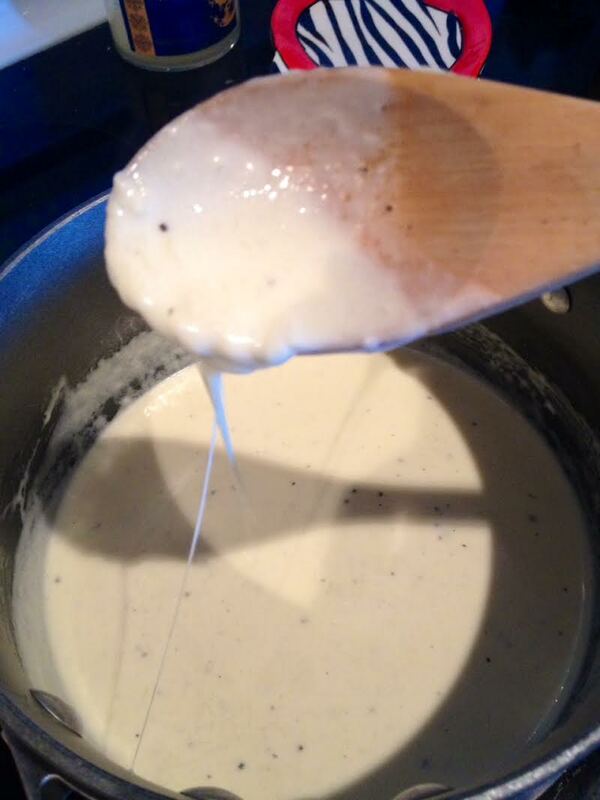 For the sauce, just melt 2 T of butter in a small sauce pot over low to medium heat, and add your heavy whipping cream once it’s melted. 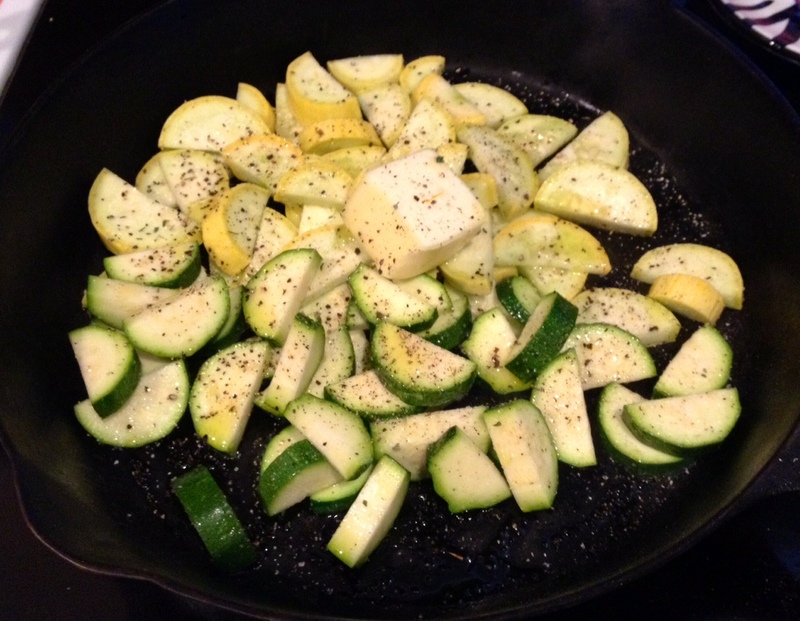 Season liberally with salt and pepper, then add 3-4 oz of your shredded Romano cheese. 5. 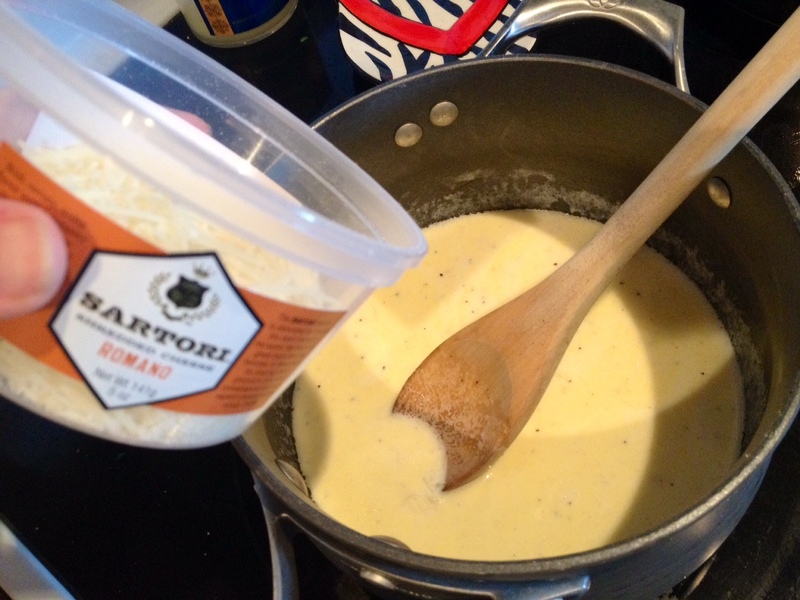 Once it’s thickened and melted, it will stick to the back of your spoon and become a deliciously sinful white cheesy sauce. 6. 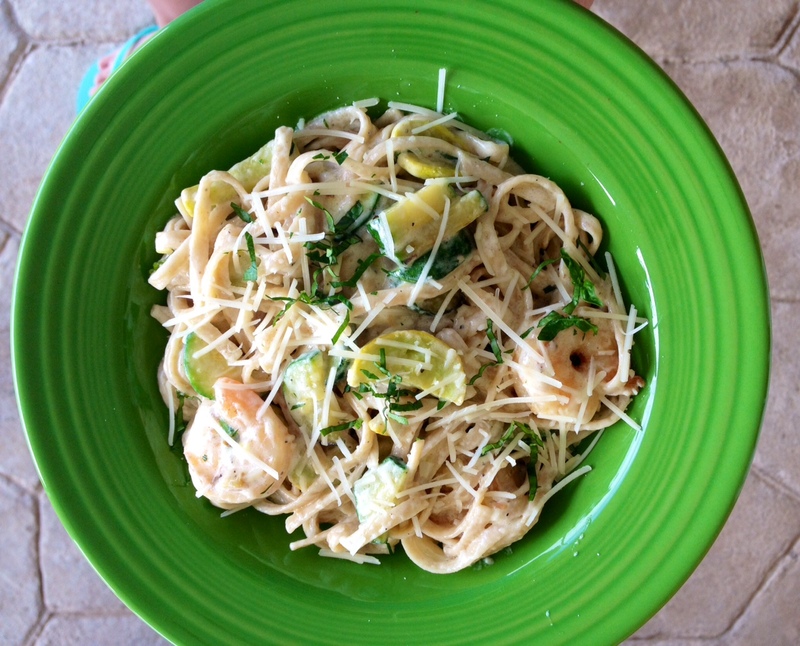 Combine your veggies, pasta, sauce, and shrimp all together and stir. 7. Top with more freshly chopped herbs and the rest of your shredded cheese, then serve with cheesy garlic bread for a yummy summer Italian meal!